With clearance on all diameters for free movement, general purpose Acmes are used for a wide variety of parts including all types of vise and jack screws where holding major diameter is not a critical consideration. Three classes of thread fit tolerances are available: 2G, 3G and 4G. Centralizing Acmes have limited clearance at the major diameter of screw and nut and are used extensively for feed screws. The limited clearance enables a bearing at the major diameter to maintain alignment of the thread axis, preventing wedging on the flanks and part sagging. Five classes are used: 2C, 3C, 4C, 5C, and 6C. Classes 5C and 6C are designed to allow limited backlash, though some backlash will be experienced with any of these classes. 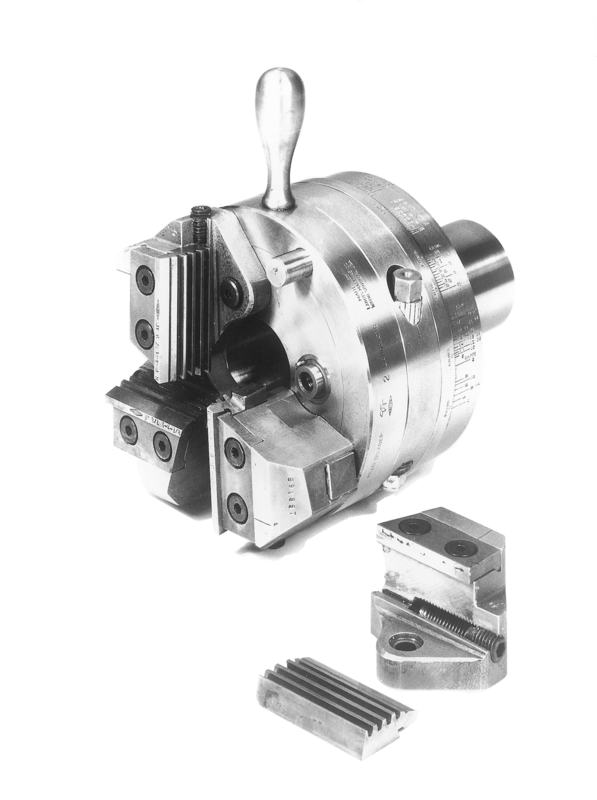 The Stub Acme is generally used for applications where a coarse pitch thread of shallow depth must be used due to mechanical or metallurgical considerations. A standard 1-1/2 – 5P Acme is planned for a specific part, but the amount of metal removal would reduce the minor diameter to the point where the torque would twist the part. The solution: use a 1-1/2″, 5-pitch two start, or 1-1/2″, 5-pitch stub Acme. 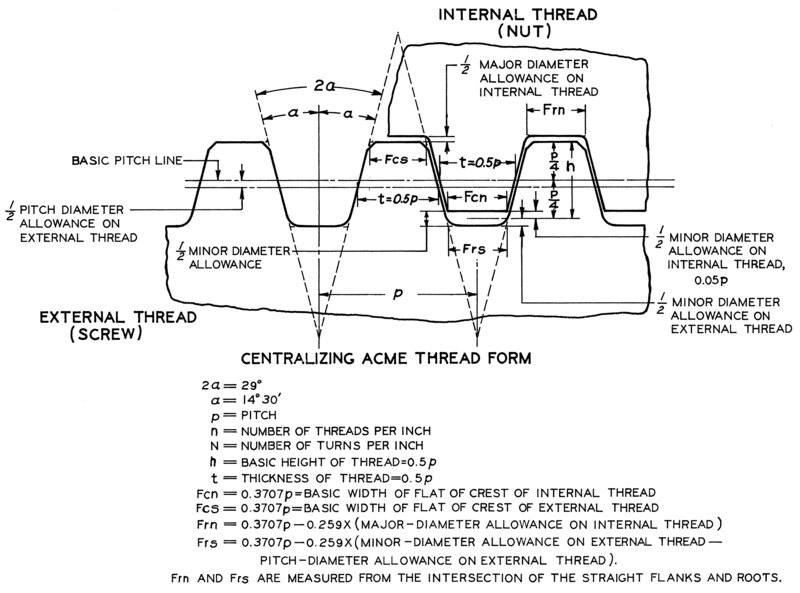 Thread height for standard stub Acmes is equal to 0.3 times the pitch, while the height of a standard Acme is 1/2 of the pitch. Otherwise, the forms are identical. Basic data for two other commonly used forms have been tabulated. These are designated Modified Forms 1 and 2. Always use the Standard Stub Acme form in preference to the Modified forms where it is practical. M1 – the pitch and minor diameters are smaller than the standard form values. M2 – the pitch and minor diameters are larger than the standard form values. 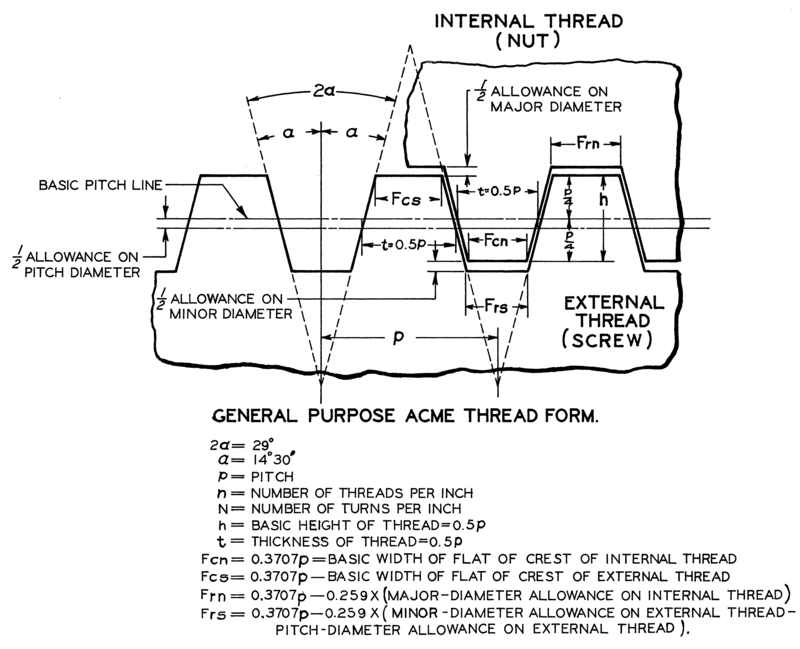 For more information about Acme Thread Tooling, contact Customer Service at 800.358.3500.